Mobile-Friendly website that allows the client to control their own Announcements & Events. Habitat of Humanity of Clay and Yankton Counties website is what is termed as “responsive”. Being responsive means the site looks nice across all platforms, i.e. mobile-friendly, tables, desktops, etc. 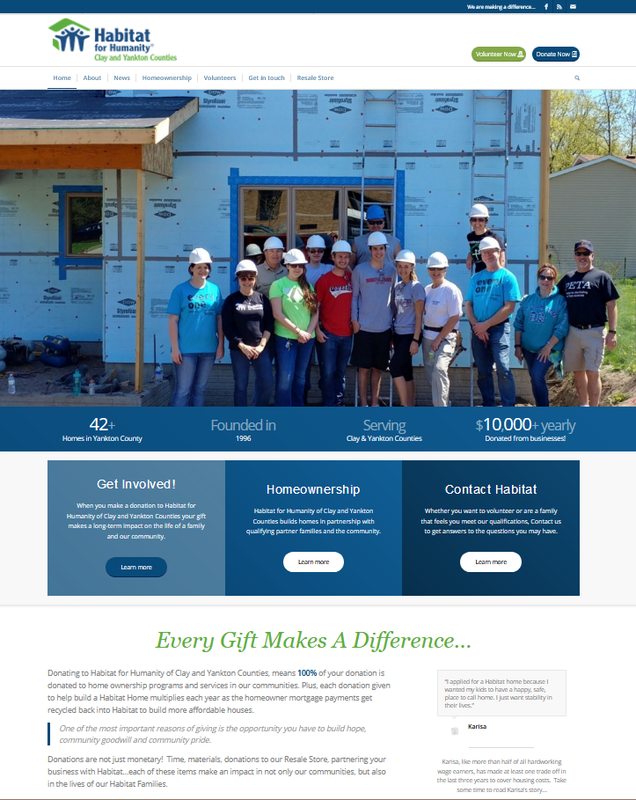 Thank you to Habitat for Humanity for allowing us to work with you and your website needs! Easily Donate Time or Money!